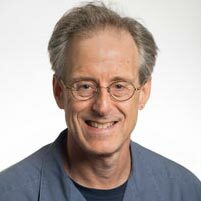 Carnegie Mellon University’s Robert E. Kass will receive the Maurice Falk Professorship in Statistics and Computational Neuroscience in recognition of his outstanding contributions to statistical theory and applying statistics in neuroscience. "Rob is a quintessential example of a Carnegie Mellon interdisciplinary scholar," said Richard Scheines, dean of the Dietrich College of Humanities and Social Sciences. "Although he started his career working on the theoretical foundations of statistical inference, he has turned to neuroscience and machine learning and made enormous contributions to both fields. He has become so essential to brain research at CMU that he is currently the CMU co-director of the Center for the Neural Basis of Cognition. He is a great scholar and also a great citizen – and as dean I need both. I am delighted that Rob is getting this long overdue honor." Kass joined CMU’s Department of Statistics faculty in 1981 and served as department head from 1995-2004, where he worked to sustain and expand top-rated undergraduate and graduate programs as well as move them into the data-driven 21st century. Kass’ early work focused on the geometrical foundations of statistics and on Bayesian inference. He co-authored "Geometrical Foundations of Asymptotic Inference" and published a series of influential papers that led to him becoming the fourth most highly-cited researcher in the mathematical sciences between 1995-2005, according to the Institute for Scientific Information. "Rob has had a lasting and significant influence on the field of statistics, across an amazingly wide range of specialties. He has been a leader in both the theory and practice of modern Bayesian statistics. He has done deep work on the foundational ideas at the intersection of statistics and geometry, as exemplified by his book 'Geometric Foundations of Asymptotic Inference,'" said Christopher R. Genovese, head of the Statistics Department. In the late 1990s, Kass shifted his focus to neuroscience because of the field’s need of statistical thinking in areas ranging from clinical trials to brain imaging to understanding neuronal firing patterns. "I was exposed to studies being conducted here at CMU and at the University of Pittsburgh that were deeply intriguing and scientifically rigorous, yet available statistical tools were not allowing investigators to take full advantage of their highly valuable data," Kass said. He has been a member of the Center for the Neural Basis of Cognition (CNBC) since 1997 and currently serves as its interim co-director. He also joined the School of Computer Science’s Machine Learning Department in 2007 in an effort to maintain and encourage new connections between Machine Learning and the CNBC. He has helped expand CMU’s excellence in computational neuroscience through research, training grants and graduate student training. Additionally, Kass is member of BrainHub’s executive committee, the CMU initiative that focuses on how the structure and activity of the brain give rise to complex behaviors. "Rob has pioneered the application of statistics to neuroscience, leading not only to advances in statistics but also substantial impact in neuroscience," Genovese said. "Rob exemplifies how statisticians can and should make a difference: advancing theoretical understanding, devising practical new methods, and digging into the details of scientific applications. He has also worked to advance a greater understanding of statistics in the broader community and has played an important role in fostering the interplay of ideas between machine learning and statistics. We are lucky to have him at Carnegie Mellon, and this chair is a truly well-deserved celebration of an outstanding career." Kass has also written widely-read articles on statistical education. Recently, he and a team of statisticians wrote, "Ten Simple Rules for Effective Statistical Practice." Published in PLOS Computational Biology for the journal’s popular "Ten Simple Rules" series, the guidelines are designed to help the research community — particularly scientists who aren’t statistical experts or without a dedicated statistician as part of their team — understand how to avoid the pitfalls of well-intended, but inaccurate statistical reasoning. In the first 10 weeks of publication, Kass’ rules received more than 100,000 page views. The previous Falk Professorship was held by Stephen E. Fienberg, who was awarded emeritus status after an illustrious career involving foundational work in a number of areas, and applied work in human rights, privacy and confidentiality, forensics, survey and census-taking. Fienberg is a member of the National Academy of Sciences. Kass will officially receive the Falk Chair at a ceremony on November 21.